Just a few months after its release, it’s amazing to be able to see the path that Simply Eat is already carving, and the legacy it is leaving. When I first read Simply Eat, I’ll admit that I felt a little overwhelmed by the sheer wealth of opportunities we have to share food and faith. There were so many ideas, and the beauty of each person’s story was so captivating that I wanted to emulate it all in my own life – if only I knew where to start. If you’re like me and aren’t sure where to start, then I’d recommend following Lydia’s example by cooking the recipes for yourself or family at home first. It’s the perfect way to work through the book, sharing stories with your children and loved ones, and when you get more confident with the recipes, why not invite a neighbour round to join you? One of the things I really loved about the book was the value it gives to everyone around the table, not just the person hosting or cooking. It has reminded me to treat everyone at the table as if they have something unique and profound to offer – because they do. The main encouragement that I took from Simply Eat was the fact that hospitality isn’t about your culinary skills or how big your dining room is. It’s just about making people feel welcome and extending the love of Jesus to them. A great example of this was Gavin Calver’s piece, where he admits he probably wouldn’t win Masterchef, but loves to offer to pray for the waiting staff whenever he eats out with his wife, Anne. Simple things like this take courage, but they could totally change a meal from just a dining experience to a potentially life-transforming encounter. Ultimately, nothing is wasted in God’s kingdom. Any meal we share with others, whether we get to share the gospel or not, will be a powerful witness to God’s generosity and the way that He so readily welcomes us. 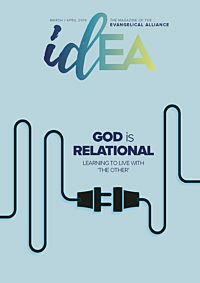 God will not waste the opportunity to show His love and grace to others, so by extending the invite to friends and neighbours, we are creating space for God to move in their hearts through our actions, even if we don’t see the results straightaway. I hope you enjoy reading Simply Eat as much as I did. But, more than that, I’m excited to see God transforming hearts, homes and communities as we all discover the God-given power of combining food and faith. Simply Eat is a coffee table book designed to inspire Christians to share Jesus around food. From a BAFTA award-winning writer to a former Hindu priest, and from a poetic schoolgirl to a celebrity chef, Simply Eat is an inspirational collection of stories and recipes celebrating the power of food and faith. Eve is a military kid and Durham Theology graduate, who spent a year studying graphic design before joining the Evangelical Alliance in 2017. She is passionate about creativity, seeing God's kingdom come, and anything that involves cheese and/or gin. 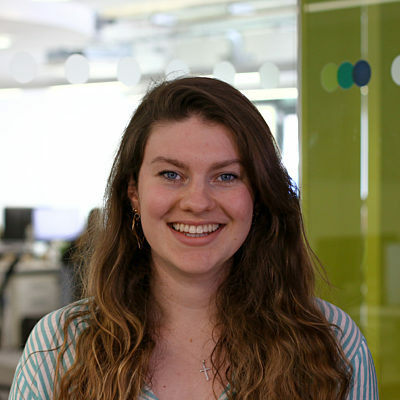 Nomadic at heart, Eve lives in the architectural wonderland of Cambridge and commutes into London to work alongside the dream team at 176. She is insistent that ‘forward planning’ is the sixth official love language and, as such, runs the behind-the-scenes of greatcommission.co.uk, ensuring the UK church is equipped to share Jesus wherever we are.